Every year I discover something new about myself. Last year, I learned that I’m actually a decent driver. This year I learned that I am severely allergic to peaches. It’s really odd actually, considering I’ve been eating peaches all my life, and they’re my second favorite fruit. But one day at the very beginning of the summer I ate a peach, and a one or two minutes later, I felt like I was wearing an iron corset while being bear hugged by an actual bear. The realization hit me that I might be going into anaphylactic shock, and panic set in when I saw the distance I would have to run to get to a phone. It was at this point I began contemplating what would happen if I died, and the first thought that hit me was that my epitaph would read: “She wasn’t feeling so peachy”. But thankfully I didn’t actually have a full reaction, and the tightness in my chest subsided. 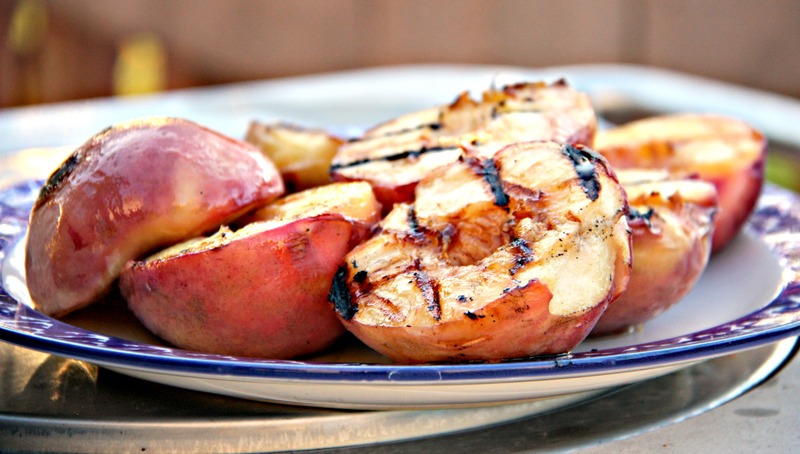 So, at this point, you’re probably wondering: why are you still grilling peaches? Well, it’s because I’m only allergic to them if they’re raw ( I still don’t know why O.O). 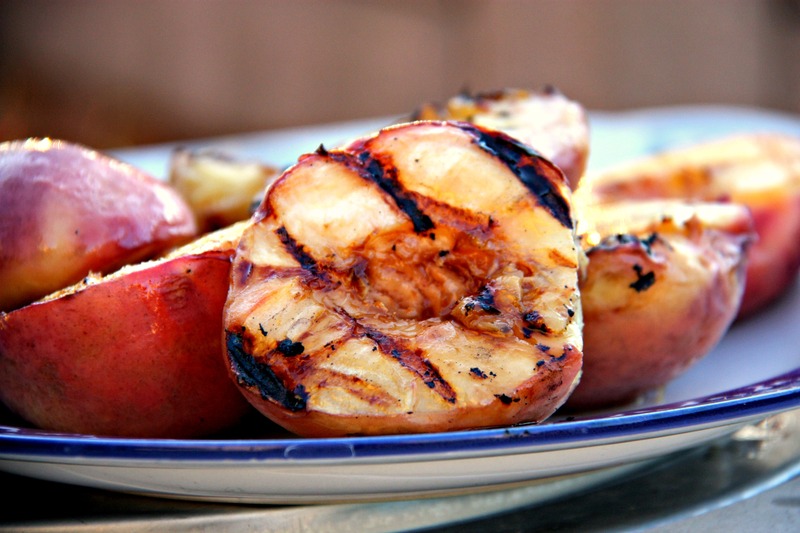 Grilled peaches are a great way to to end a grilling session during a summer afternoon. Just add some whipped cream on top, they’re the simplest dessert you’ll ever make. I tried a bunch of different varieties/ methods, from coating the peaches with honey to a cinnamon syrup, to simple syrup. I finally decided that I liked maple syrup the best , and found that making small shallow cuts on the peaches really helped the syrup soak in. Prep the grill to a medium high flame & use a non stick spray, or if possible butter. Slice the peaches in half, then make some very shallow cuts on the skin of the peaches as well as the fleshy side. You should barely be able to make out the cuts. Using a pastry brush, brush the inside and outside of the the peaches with the maple. Place on the grill, with the fleshy side down until you can see sear marks on the fleshy side(5-6 minutes), at which point, you need to use the pastry brush again to coat the skin with maple syrup, then flip the peach over so the skin side is on the grill. Leave the peaches for another 5 minutes, take them off the grill, and quickly coat both sides with maple syrup and your done! How unfortunate that you’re allergic to fresh peaches. I’m glad your reaction wasn’t any more dangerous! 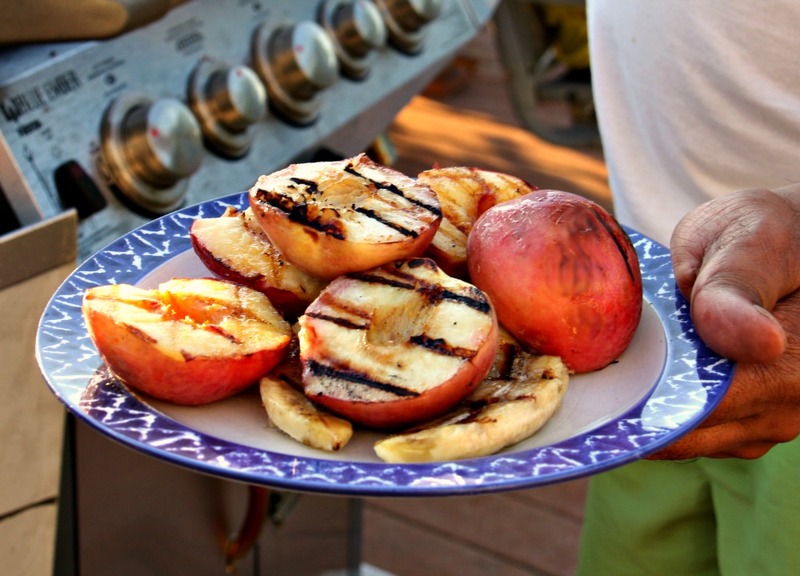 Those are some beautiful grill marks on the peaches, though. Well, I’m definitely glad you didn’t die! ;) Also, these are the most beautiful peaches I have ever seen!